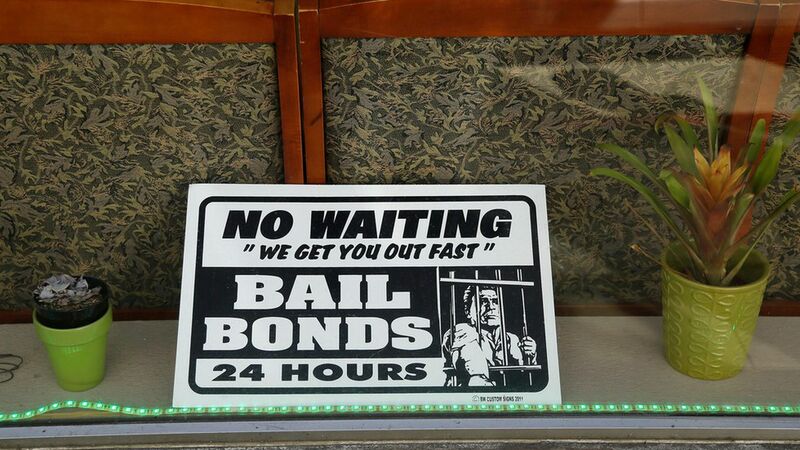 How the bail bonding industry thrives in the U.S. The U.S. is one of only two countries in the world with a legal bail bonding industry, which allows bail bond companies to pay a defendant's bond in exchange for a fee (typically 15% of the bail price) when the defendant can't afford to pay the bail price and doesn't want to wait in jail until their trial. The bail system, which often favors those who are rich and hurts citizens who can't manage to scrape the hundreds to tens of thousands of dollars required for bail, is ripe for reform. Senators Kamala Harris and Rand Paul introduced a bipartisan bail reform bill earlier this year, which incentivizes states to reform their bail practices, but not much has come of it. The U.S. and the Philippines are the only two countries in which the commercial bail bond industry is legal. In 2017, 70% of the 630,000 Americans in local jails have yet to be convicted, according to the Prison Policy Initiative. The bail bond companies deal with about $14 billion in bonds each year, bringing in a total of $2 billion, according to a report by the Justice Policy Institute. Part of the Eighth Amendment of the constitution says that ""excessive bail shall not be required, nor excessive fines imposed." Bail is intended to ensure defendants show up for their trial. The money is returned to them when they do. Not every possible offender is offered bail. To determine whether an accused person qualifies for bail, the judge will look at their physical and mental health, financial resources, family ties, drug and alcohol abuse, criminal history and their history of appearing at court. If a bail is less than $2,000, bail bond companies aren't always able to make a profit and won't take up the case, leaving many people no other option but to wait in jail.